Juventus’ failure to finish in the European football zone last season is surely a disappointing achievement for the Bianconeri, but their star defender, Giorgio Chiellini, is hoping that it could actually gives an advantage to the Turin giant for the upcoming season. Chiellini truly believes that although the transfer market isn’t over, Juve’s current squad should actually be enough to finish much better than last summer and without European commitment, they could actually give 100% focus in doing well in Serie A this season. Chiellini also added that in order to compete at the top of Serie A in the new season, Juventus’ players must have a new attitude and it’s something that has currently being worked by their new coach, Antonio Conte. Moreover, the Italian international believe that under the guidance of Conte, they could really do well as so far the former Juve’s captain have been giving interesting concept and ideas for the players. “Our attitude needs to change and the Coach is putting great focus on this. 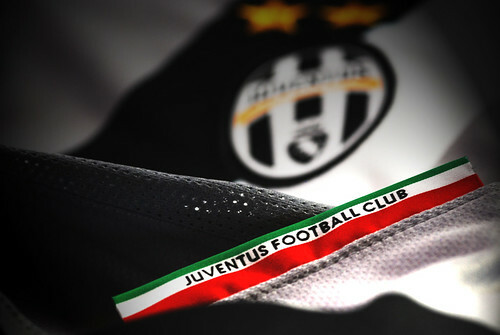 Juventus’ DNA and spirit can’t just be words. Something has been missing in the last two years,” Conte’s first impact has been very positive. He’s showing conviction in his ideas and is well prepared. Now we must learn what Conte wants from us and we hope to be able to find the right spirit to change direction,” Chiellini added. Chiellini surely expects that things can finally worked out well for Juventus this season since last two season, they have been getting poor results in the competition, failing to reach the Champions League qualification round despite being very active in the transfer market. This summer, another similar activity is also being done by the management and not only that, the board already promised the fans that important signings will still arrive especially a world class striker that would make the team stronger.